All riders on the 60-mile (97 km), 14-mile (22 km) and advanced routes are asked to fundraise at least $900 ($500 for those aged 30 and younger). Funds raised for Ride For The Living support ongoing programming for all generations at JCC Krakow, including Holocaust survivors in our Senior Club, university students in our Hillel GIMEL Student Club, and children in our FRAJDA Early Childhood Center. Over 95% of JCC Krakow’s operating budget is raised overseas from individuals, families, synagogues, foundations, and Jewish Federations. JCC Krakow’s success depends on support from around the world. The entire Krakow Jewish community is grateful for your support! Click below to download our fundraising kit. The kit will help you tell your community more about the Ride, JCC Krakow, and Poland’s growing Jewish community. The kit also provides specific information about how to fundraise using our online platform and with the use of social media to tell your friends and family about the Ride. Support from Ride For The Living participants, as well as their friends and family, is key to ensuring that JCC Krakow is able to continue serving as an institution of Jewish culture and learning for hundreds of local Jewish members, thousands of tourists, and the broader Krakow community. In just 10 years of its existence, the center has transformed the narrative about Jewish Poland. A story once thought to have ended with the Holocaust, now continues on with the rebirth of a thriving, modern Polish Jewish community. A thousand years of dialogue between Jewish and non-Jewish Poles, abruptly cut off by the Holocaust and 50 years of communism, takes place once more today within the walls of the JCC. JCC Krakow's Senior Club is open six days a week for members, including 60 Holocaust survivors, to meet, share a meal or a cup of coffee, and participate in a full schedule of programs. Activities include Senior University and classes on topics such as English, mind training, technology, yoga, rehabilitation, sewing, cooking, and singing, as well as intergenerational collaborations. The JCC's youngest members learn and play at FRAJDA, our new full-time pluralistic Jewish preschool. FRAJDA is the first such institution to open in Krakow in over half a century. The preschool's name, meaning "joy" in both Yiddish and Polish, reflects the centuries of close relations between Jews and Poles upon which we build at JCC Krakow. Ten years ago, most young Krakowian Jews knew few, if any, others who shared their religious and cultural background. 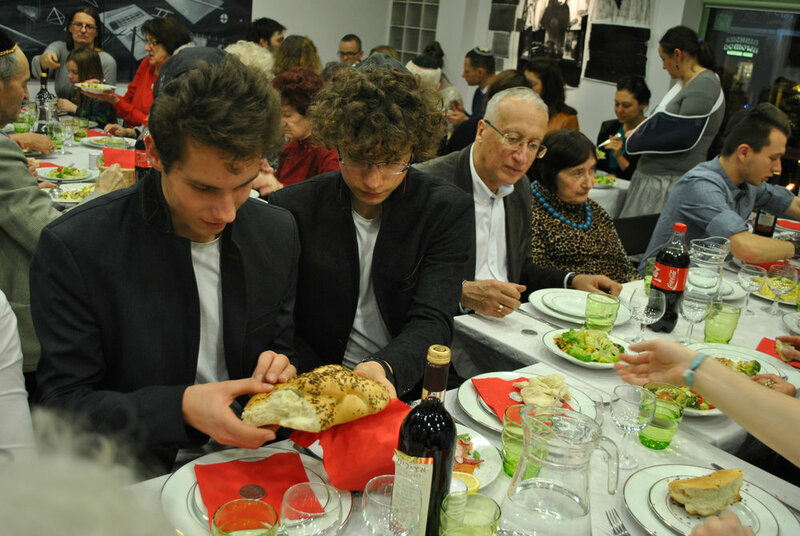 A fledgling Jewish student club emerged at the JCC to support young adults in Krakow, who often discover their Jewish roots only in their teens and twenties and did not know where to turn. Today, that student club is part of Hillel International, offering 50+ students opportunities to connect with like-minded peers from around the world. In order to ensure Jewish continuity, JCC Krakow believes all generations must see a place for themselves within our community. The JCC emphasizes intergenerational activities with the knowledge that all community members can learn from one another as they forge Jewish identities. Many of our members had never celebrated Shabbat or a Jewish holiday prior to the JCC's opening. Every week at the JCC, members enjoy a kosher Shabbat dinner alongside visitors from around the world. We also celebrate holidays together with meals in the sukkah, purim spiels, and communal seders. Interested in supporting the Ride?